[toc]Skin is one of the most significant aspects of a human being. Along with performing the important function of protecting the body and providing a shield from external factors, it is one of the most aesthetically affecting factors for a person. Flawless skin has been known as one of the best features of beauty from time immemorial. Herein, it is not only applicable for women but today’s generation also notices men being conscious about the skin and appearance as a whole. However, nobody is born with a perfect skin and hence there are a lot of problems that one can undergo. 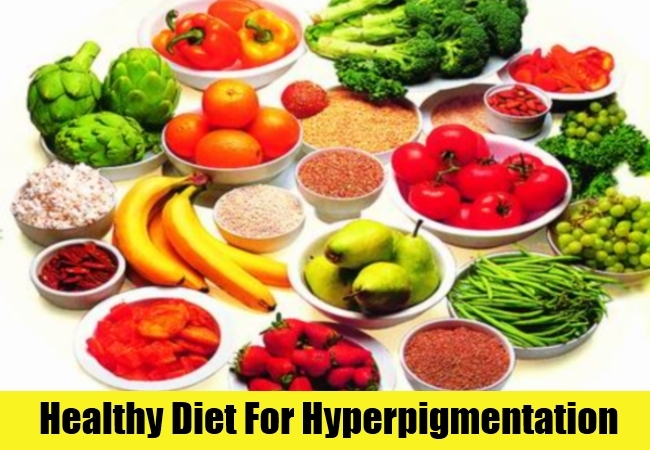 Hyperpigmentation is one of the most prevalent occurring issues faced by millions of people around the globe.In simple ways, if we try to define the problem it is the uneven skin tone that occurs in the form of patches on the skin and can be of varied colors like pink, brown and even black. There can be innumerable causative factors associated with it. 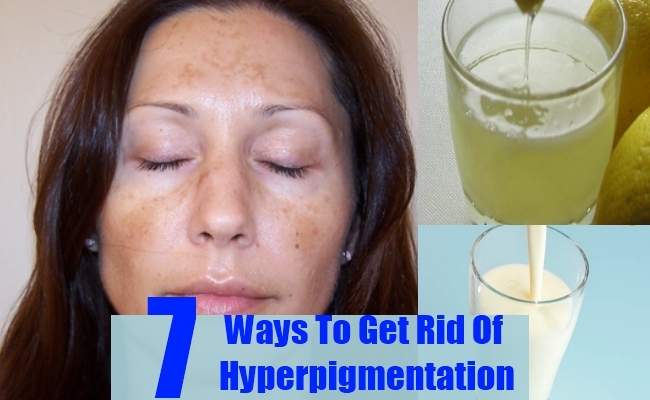 Once you are aware of the reason, you can move ahead and use different simple, easy, affordable and effective methods to get rid of hyperpigmentation on the skin. Check the guide below for well researched ideas. 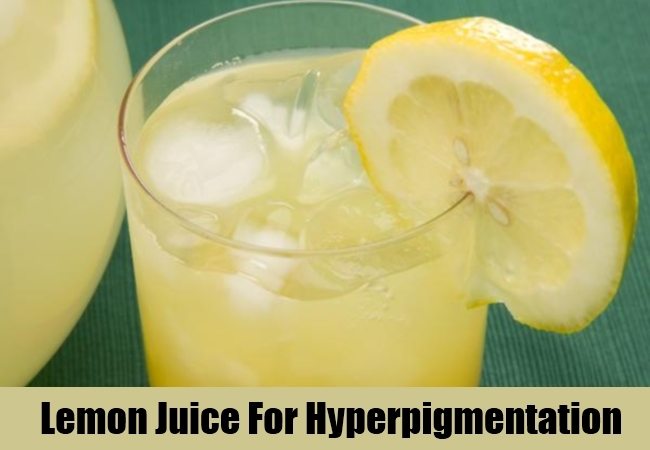 One of the natural remedies in which hyperpigmentation can be treated is the use of fresh lemon juice on the affected areas. The bleaching properties of the product will lighten the patches and gradually treat it completely to make your skin flawless and to enhance your looks. This should be gently rubbed on the skin and left for a few minutes before rinsing it off. This should be done for a couple of months to get visible outcomes on the problem. The reasonability of the idea makes it quite demanded in the population around the globe. Buttermilk is known to have lactic acid that can very well work on the dead skin cells and remove them from the skin. Application of buttermilk on the hyperpigmented areas each day is going to help you a long run in the treatment process of the same. 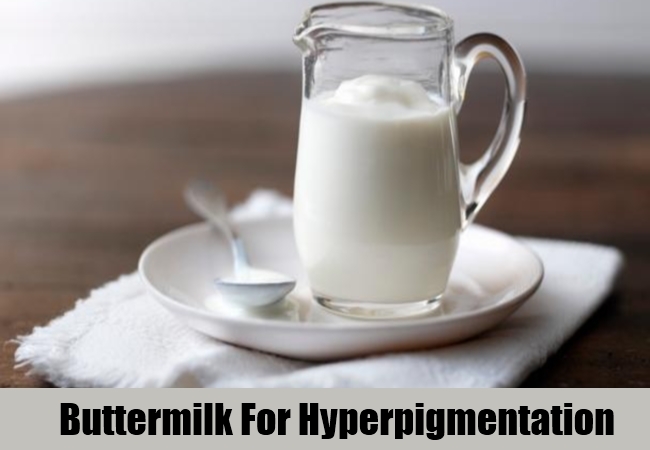 Herein, you can also substitute the buttermilk with milk since it has the lactic acid content as well that works exactly in the same manner on the skin. This should be done everyday for ideal outcomes. The exfoliation of the top layer of the skin ensures that the new skin surfaces which reduces the problem of discoloration and pigmentation. Healthy fluids especially filtered water is really good for the skin and helps in flushing out the toxins. Also, it helps in regulating the blood flow to the skin. Apart from that it hydrates the skin cells and removes the dead and damaged ones. 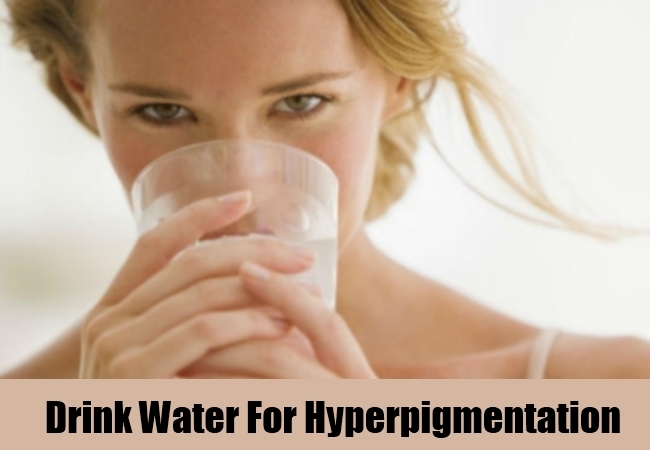 This means that drinking about 8 glasses of water each day will start showing a positive and visible difference in the treatment of hyperpigmentation. Along with this, you can have fresh fruit juices that are sugar free, herbal teas and even coconut water to see the good effects on the skin and how well it gets you to flawless results. It is a safe and expense free way to reach your goals. Include loads of vitamins, minerals and antioxidants in the diet that helps in repairing and rejuvenating of the skin. This means your meals should be full of fruits and fresh vegetables. Apart from this nuts and whole grains are also recommended. These will definitely help in reduction of pigmentation as well as ensure that the skin is healthy and problem free from all aspects. Make sure you avoid some food like fried, spicy and junk that can have a negative impact on the skin and worsen the situation. This is one of the best ways to keep a healthy body and hair as well. The dual benefit makes it all the more popular as a remedy among the population. 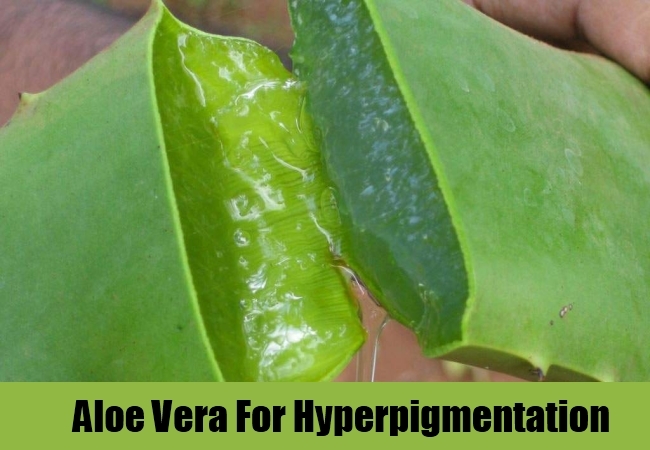 One of the soothing and calming natural products that is a definite treatment for hyperpigmentation without side effects are aloe Vera extract. It is known to remove the dead skin cells and thus slowly reduce the severity of the problem. If followed on a regular basis, it is bound to get rid of the pigmented areas in a couple of months. Regeneration of skin cells is also encouraged by the application of this product on the skin. This should be applied every night on the skin before hitting the bed and then rinsed off early in the morning. As an added advantage, it also refreshed the skin and makes it attractive. 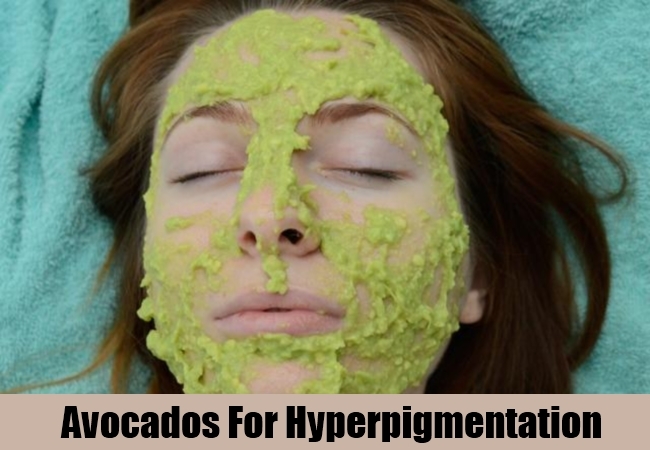 In a simple remedial way, you have avocados at your advantage that can actually reduce and slowly treat hyperpigmentation completely. The fruit is easily available and can be mashed before applying it as a face pack for about 30-45 minutes. The enzymes in the fruit will work on the problem to give you more than satisfying outcomes. The fruits can also be sliced and applied or made into a juice. However, test on the skin for suitability before you apply it all over. It might cause allergies in some people. 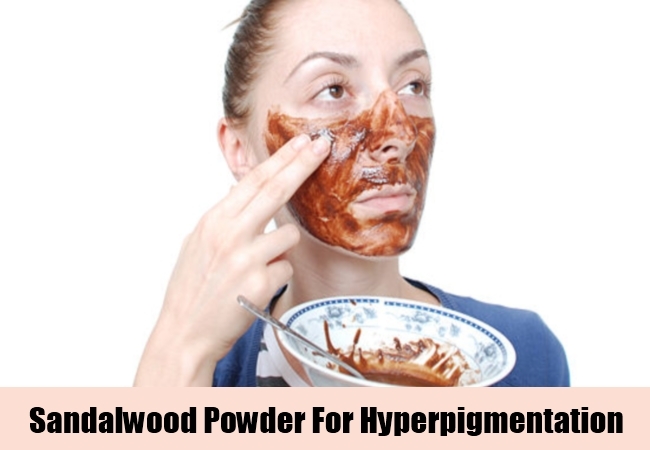 To even out skin tones, one of the most famous products available in the market is the sandalwood powder. The only criteria is to use the powder that is genuine and of good quality. it also removes the spots created by acne and pimples on the skin apart from the discolored patches. A few teaspoons of sandalwood powder can be both mixed with fresh tomato juice or cucumber juice and made into a paste. This should now be evenly applied on the skin and kept for 30-45 minutes before rinsing it off. This should be applied each day for best results.